The Hat steals the show. After making its debut on a national stage, it was known simply as "The Hat." Now, the Smithsonian wants to add Aretha Franklin's Swarovski jewel-studded, heather grey wool hat to its Inauguration Day collection. 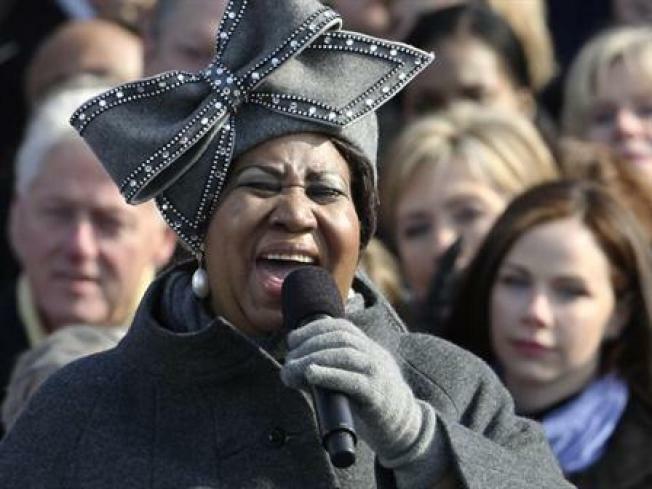 The Institution has asked the Queen of Soul to donate the hat to the museum to become part of an exhibit of President Barack Obama's inauguration. It would join other items the museum is collecting, including first lady Michelle Obama's inaugural night gown. But Franklin may not be ready to part with her bow-tied beauty. "I am considering it," she said. "It would be hard to part with my chapeau since it was such a crowning moment in history. I would like to smile every time I look back at it and remember what a great moment it was in American and African-American history. Ten cheers for President Obama." Franklin gave a rousing performance of "My Country 'Tis of Thee" during the swearing-in ceremony on Inauguration Day in front an estimated 1.8 million people. But it may be her hat that is most-remembered from her performance, as it was the buzz of talk shows, fashion experts and the Internet. Even today, the hat is still pulling in fans to a Facebook group. And if you want one of your own, you're in luck. The Detroit-based store that Franklin got her version from is offering them up for sale. But it will cost you more than $500. Although a satin-laced version will run about $180.